Cardiospec (ESMR), a new non-invasive Myocardial Revascularization therapy induces angiogenesis for the treatment of Angina in patients with NO OPTIONS. Patients with advanced CAD frequently have limited symptoms with recurrent angina, angina at low work thresholds, breathlessness, and other debilitating conditions. These patients have often been through several “re-do” coronary bypass procedures and multiple percutaneous coronary interventions. Surgical and interventional options for these patients typically have been exhausted and the existing therapy remains limited to the use of multiple anti-anginal medications, reduced activity, exertion, and stress level, and significant alteration and limitation of lifestyle. 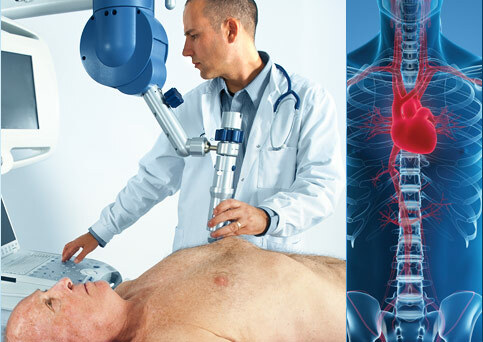 The Cardiospec (ESMR) therapy offers new hope for these patients and provides therapy which complement existing treatment procedures. 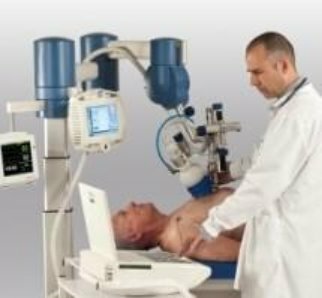 A cardiac ultrasound imaging system is used to locate the treatment area and to map the exact position and extent of the ischemic zone. Shock waves are then delivered via the anatomical acoustic window to the treatment area under ECG R-wave gating. Few treatment sessions are required to obtain optimal results. Cardiospec (ESMR) treatment modality can thus complement existing revascularization procedures for the treatment of Angina for all those NO OPTION patients. This echo-guided therapy enables a non-invasive solution with short treatment time and no side effects. The ESMR technology has proven to be safe in more than 60 medical centers worldwide.